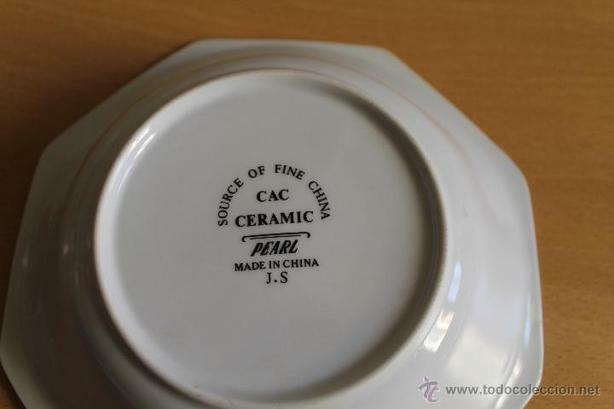 One year old, Occasionally used, "Good condition no chips or cracks." 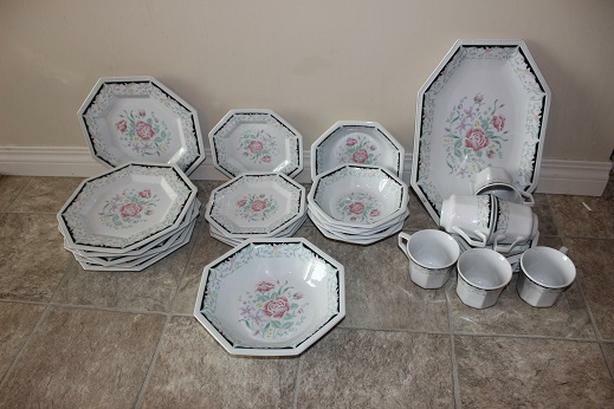 Set of 34 pieces, 6 dinner plates, 5 dessert plates(1 missing), 6 soup bowl. 6 tea cups + 6 saucers, 1 serving tray, 1 serving bowl, 1 Kettle. 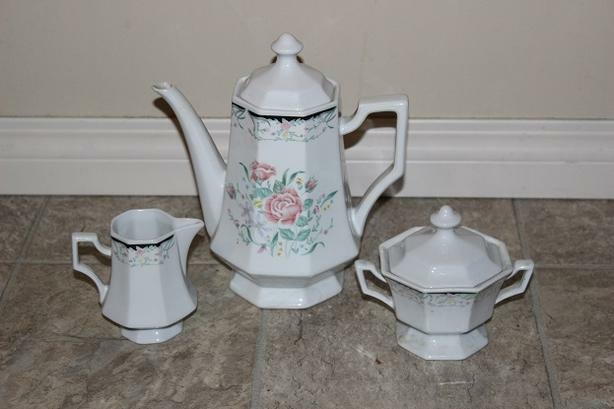 1 sugar bowl, 1 creamer, without box. Price: $65 / OBO.